A simple two-step recipe with popular appeal. 1) Using an air popping popcorn machine, pop the popcorn according to manufacturers instructions. Take popped popcorn and set aside. 2) Gently melt Clairesquares Caramel in a heavy bottomed saucepan over a low heat while mixing gently with a rubber spatula. 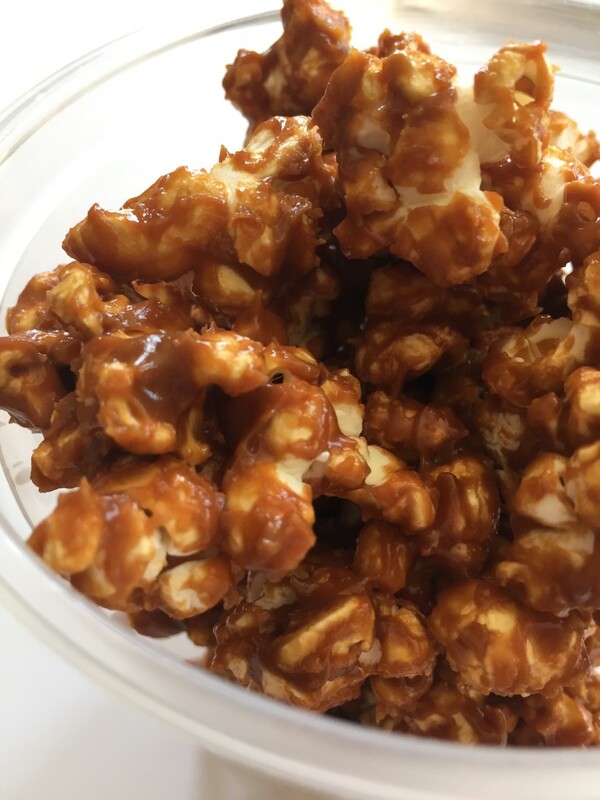 Once the caramel has completed melted, remove from heat, add popcorn gradually and mix into the caramel while working to coat each piece evenly. Add salt to taste. This entry was posted in Blog, Uncategorized and tagged caramel, Popcorn, Snack.